Oscar de la Renta cocktail dress in georgette with embroidered crochet insets. Mandarin collar; deep V surplice neckline. Roped self-tie at waist with tassel accent. 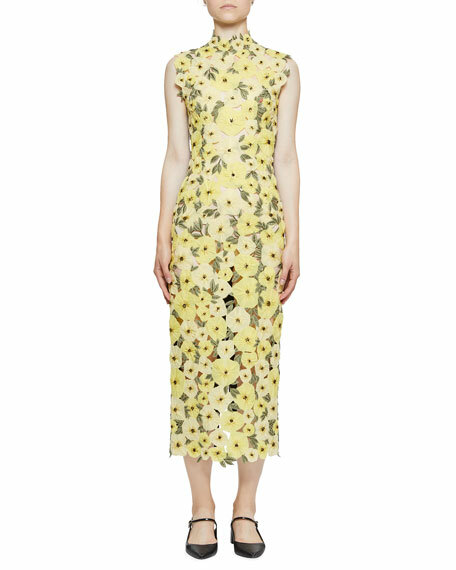 Erdem dress in organza with floral appliqu. Mock neckline. Sleeveless. Body-conscious silhouette. Partially lined. Midi length. Silk/acetate/cotton. Silk lining. Made in United Kingdom. 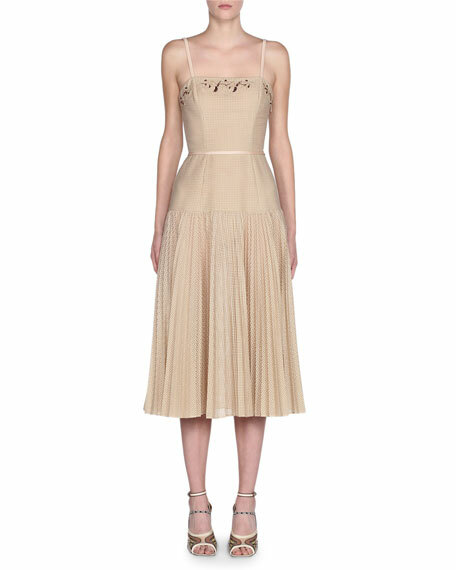 Fendi cocktail dress in perforated for netted fabric. Square neckline with floral embroidered trim. Thin shoulder straps. Dropped waist. Pleated skirt. Tea length. Side zip. Mohair wool/nylon. Lining, silk. Made in Italy. 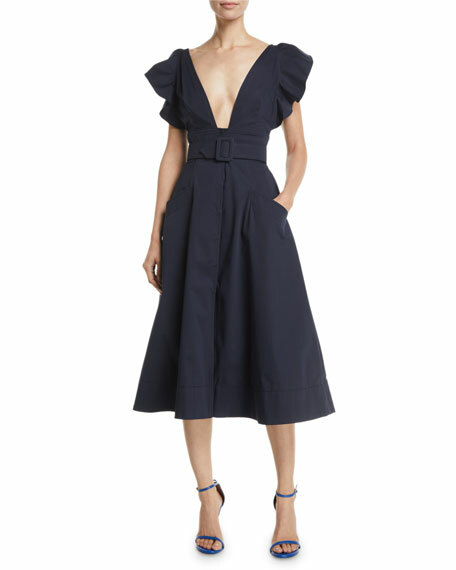 Oscar de la Renta cocktail dress in cotton-twill. Deep V neckline; V'd back. Flutter, cap sleeves. Adjustable belt. Front slip pockets. A-line silhouette. Hidden side zip. Tea-length. Cotton/spandex. Made in Italy. 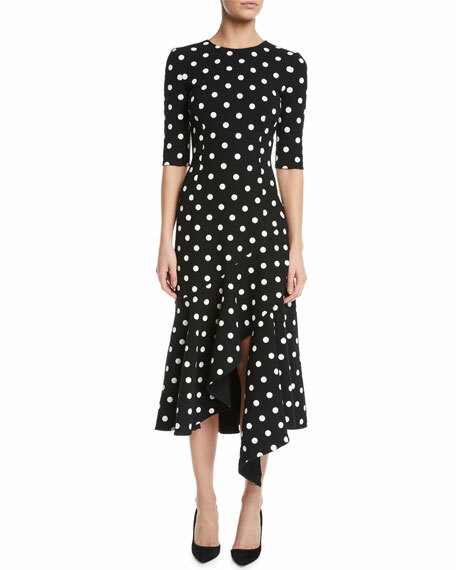 Oscar de la Renta dress in stretch-wool with polka dots. Jewel neckline. 3/4 sleeves. Dropped waist. Fitted silhouette. Hidden back zip. Asymmetric ruffled hem. Tea-length. Virgin wool/nylon/spandex. Made in Italy.